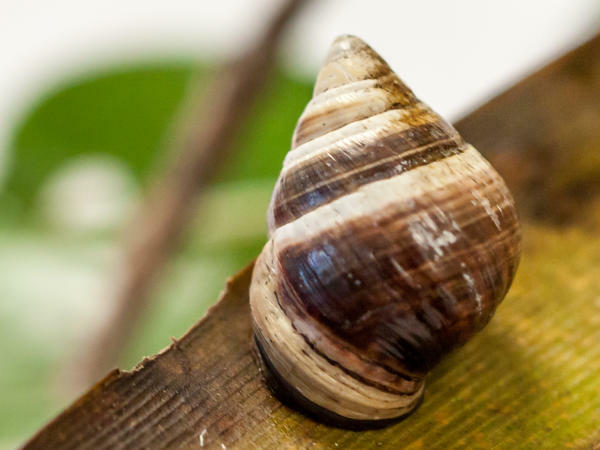 George, the last known Achatinella apexfulva, a Hawaiian land snail, died on New Year's Day. George, the last of his species of Hawaiian land snail, died on New Year's Day. He was approximately 14 years old. His death was confirmed by Hawaii's Department of Land and Natural Resources. George was born as part of a last-ditch effort to save his species. Back in 1997, the last 10 known Achatinella apexfulva were brought into a University of Hawaii lab to try to increase their numbers. Some offspring resulted, but all of them died – except for George. As the last remaining A. apexfulva, George lived out his days alone in a cage at DLNR's snail lab in Kailua, Oahu, alongside 30 other species close to extinction. Those who knew George say he kept to himself. "For a snail he was a little bit of a hermit," David Sischo, a wildlife biologist with the Hawaii Invertebrate Program, tells NPR. "I very rarely saw him outside of his shell." Sischo said George likely died of old age, as 14 is "up there in snail years." While those who knew George use male pronouns to talk about him, George was a hermaphrodite. With both male and female parts, some snails can reproduce without a partner. But seemingly not A. apexfulva: George leaves no survivors. And while George (named for the last surviving Pinta Island Galapagos tortoise) was but one shy snail, his death takes place amid a crisis for native snails in the Hawaiian Islands, which have been called "the extinction capital of the world." "Island flora and fauna in general are pretty susceptible to pressures that are brought in from outside areas, such as introduced species," Sischo explains. "A lot of the animals that evolved here don't have a lot of natural defenses to mammalian predators and diseases that are brought in from mainland areas." Hawaii's native snail populations have been decimated by a series of invasive species arriving there, including rats and Jackson's chameleons, a native of Kenya brought to the islands as pets. Then there is Snail Enemy Number One: the rosy wolfsnail. A predatory Florida snail introduced to Hawaii in the 1950s to control agricultural pests, it has an enormous appetite for other snails. "Unfortunately it hasn't been a great bio control for what it was brought in for, and it's just completely devouring our native snail fauna," Sischo says. "That particular invasive species is probably the main driver of extinction." Hawaii's Snail Extinction Prevention Program works to save rare and endangered snail species, like those seen here. These species, endemic to the Hawaiian Islands, occur nowhere else in the world. To try to save Hawaii's imperiled snails, Sischo and his colleagues at the state's Snail Extinction Prevention Program will jump into action if they recognize that a species' population is crashing or spot a very rare snail. They will bring members of the species into captivity, put up predator-proof fencing around small habitat areas, and then reintroduce species into those areas. Sischo calls these measures "manning the lifeboats" – a sort of stopgap against extinction. 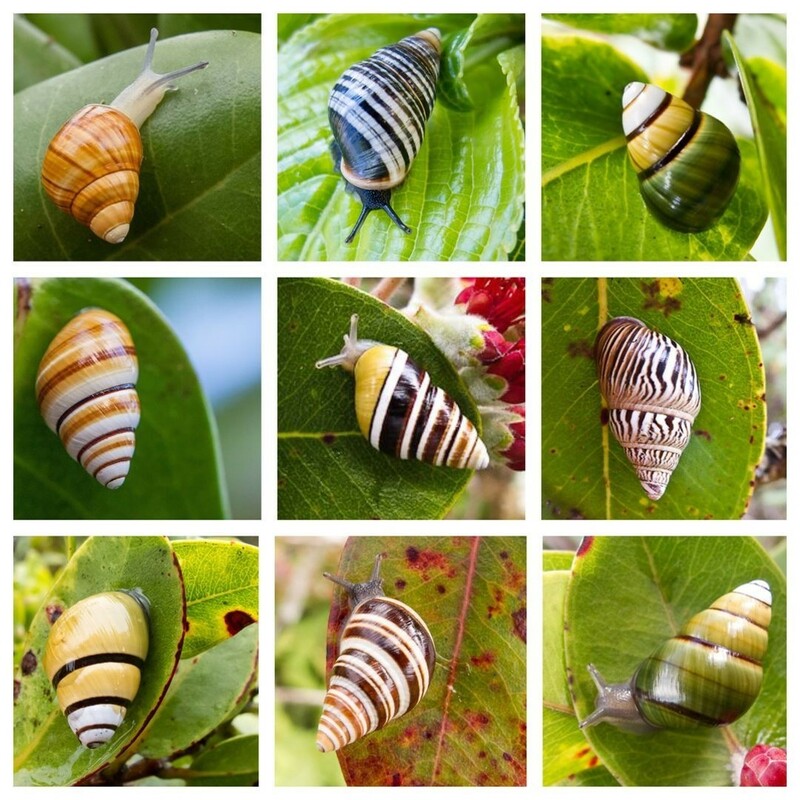 But time is running short: Sischo suspects most of the large tree snail species on the islands that are alive now will be extinct in the wild within the next five to 10 years. "We have the tools to protect these species, it's just a matter of if we can do it in enough time," he says. "It's hard to convey that timeframe to people because they don't understand how quickly we're losing these things." In the longer term, biotechnology like CRISPR "gene drives" may be able to eliminate predators. And in 2017, a couple millimeters from George's foot were taken to San Diego's Frozen Zoo, where his cells live on in deep freeze, waiting for advances in snail cloning. But those technologies aren't here yet, so for now, Sischo and his colleagues move as fast as they can, scooping up rare snails and installing fences. Snails have major cultural importance in the Hawaiian Islands, where folklore often depicts snails as being able to sing. People who grew up in the islands have told Sischo about walking up the hill from their houses, shaking the trees and collecting snails by the bucketload. But now, "it's a ghost town" if you're looking for native snails, Sischo says. "We go to these areas and the host plants are there, and the conditions are right, and they're just not there." In Sischo's line of work, witnessing the last days of a species is common. He estimates that since he began working with snails in 2007, he's been the last person to see 10 or 20 species in the wild. Even so, his heart sank a bit when he learned that George had died. "It's not so much that this one particular snail died, but it's all of the history that goes with George," he says, explaining that A. apexfulva was the very first snail species in the Hawaiian Islands to be described by Western science. "I mean, he's the last of his kind. ... To have that last individual perish under your watch, it's pretty depressing." In 2017, Honolulu Magazine visited George at the snail lab.